Video to GIF is a hassle free GIF converter which allows you to convert small videos to animated GIF images. 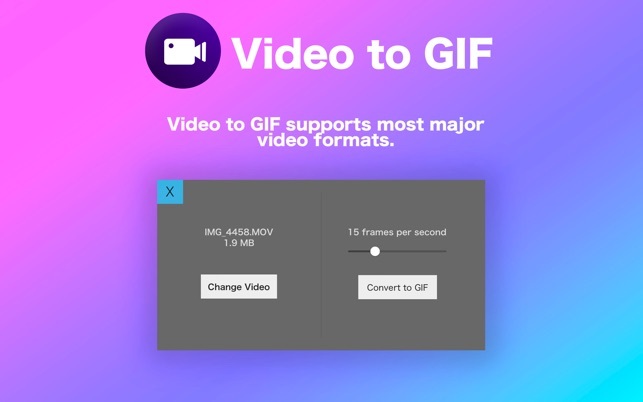 Video to GIF supports converting from most major video formats. 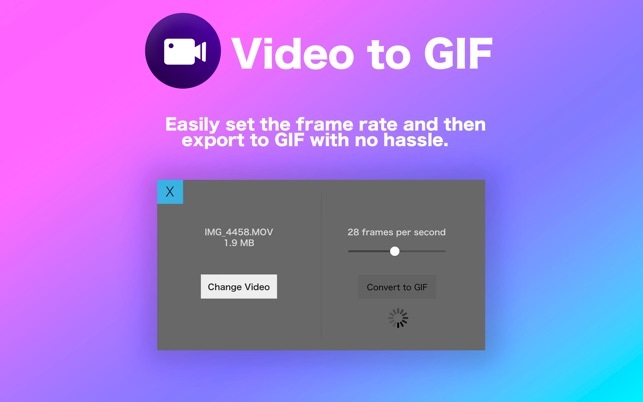 Simply choose a video, set the frame rate and then export your GIF, it's as simple as that! Program crashes instead of converting video to gifs. Zero functionality.